In the world where pictures speak louder than words, decent inventory photos are a crucial component to a successful eCommerce shop, as well as brick and mortar businesses. And not just decent photos—pinnable, 'grammable, shareable photos. 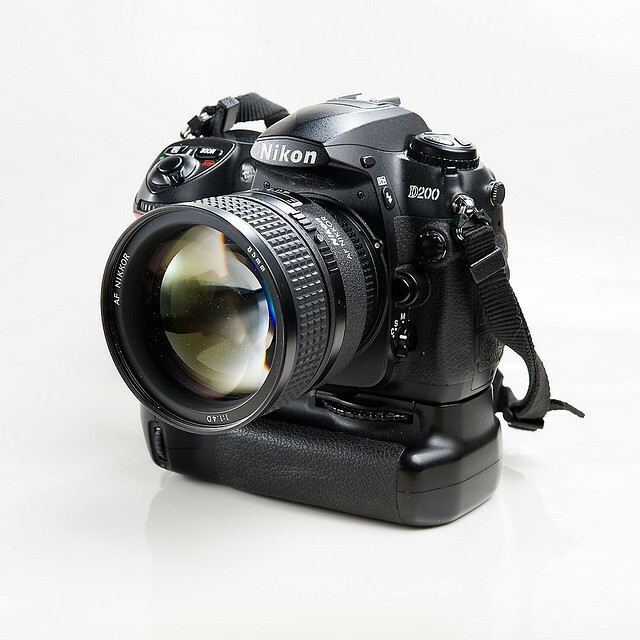 Professional commercial photographers can make just about anything look like a million bucks, but unfortunately they come with a large price tag that many small business owners can't afford. However, with a little ingenuity, good lighting and oodles of patience, you can snap your inventory photos in a flash. Here are a few tips for getting the most out of your photos on a budget. 1. Find the light—the natural light. Natural light is your best friend, because it saves you from renting or buying potentially expensive lighting equipment and also can save editing time. The best light is going to be indirect but bright enough to keep your images sharp without using a flash. Move around your shop, experiment with different locations and try shooting at different times of day to find your favorite light. 2. Set the scene. If you aren't able to take your photos during the day for some reason, it might be worth investing in a white photography box. Amazon sells a few different starter kits that are great for capturing products and maintaining good light when natural light isn't an option. If you prefer to make your own, check out this DIY light box tutorial. If you aren't using a box, bendable white backgrounds are still a classic, consistent and easy to put together with a few supplies from the craft store. 3. Use a camera you love—and most importantly, a camera you know how to use. It doesn't have to be the fanciest or most expensive DSLR on the market, but it should be able to take high-resolution, close-up photos. A tripod will also come in very handy because you'll be busy styling your "set" and a steady camera will maintain consistency and avoid blurry images. 4. Take a basic photo editing class. This is the single most effective way to polish your images and make them look professional, so it's worth investing in either online or inexpensively through a community ed class. We recommend learning the ropes of free (or nearly free) photo editing software options like Adobe Lightroom, Pixlr and PicMonkey before you put a lot of money into expensive software that might be overwhelming for your needs. 5. Hire a photography student. For the folks that simply never want to DIY anything photography-related, local schools are full of budding camera junkies. Students have a chance to add to their body of work and you have a chance to make friends with an affordable, but likely still very talented professional photographer before they make it big. If your budget is thin, barter! Let us know if you have any other great tips for product photos—we'd love to add to this list! As a retail business, chances are a big chunk of your cash flows right back to moving your goods in and out. If you are regularly shipping a high volume of products to customers and wholesale clients without taking advantage of carrier discounts, you could be spending up to 40% more than you need to. This savings could mean turning a larger profit or could free up the funds you need to offer customers a shipping discount for large orders, which is a powerful tactic to increase sales and revenue. A September 2013 Canadian survey by UPS and comScore conducted found that 3 out of 4 shoppers added items to an eCommerce cart in order to reach a free shipping threshold. It only takes is a little bit of elbow grease and homework to negotiate shipping discounts and finagle lower freight rates. 1. Create accounts with all of the major carriers. If you haven't done this already, get to it! UPS, FedEx and USPS (through Stamps.com) are the obvious starting points and accounts are easy to set up online. With your own dedicated account, you can arrange for carriers to pick up and drop off directly from you (no more frantic trips to the post office at 4:59 p.m.!). 2. Compare and contrast. When looking at the different options, make sure you answer all the questions that relate to your business specifically. Do they provide postage labels and rent printers? Will you have enough volume to qualify for their discounts? What is each carrier's rate on your most-shipped package sizes? For example, for heavy but small items, USPS can be significantly cheaper than UPS or FedEx. For medium-sized or large packages, though, UPS or FedEx can typically offer better rates. Researching these quirks and understanding your inventory's needs can also help you improve your shipping cost widget so that you don't lose money by accidentally undercharging customers for postage. 3. Make the ask. Once you have established a relationship with the account manager at the carrier(s) you like best, negotiating a lower rate is as simple as asking—even if you aren't quite a high-volume company yet. UPS and FedEx even give a three-month grace period if you're projecting a larger volume of sales as your business grows. You can take advantage of that more affordable shipping now, but be as accurate as you can with your predictions or you will lose your low rate if your goals aren't met. If you need to boost your volume, you may also use your own account to manage inbound shipping costs (rather than reimbursing the manufacturer or wholesaler). Even if you don't walk away with a deep discount right away, you'll know what thresholds you will have to reach to qualify for more significant savings. Bonus tip: If you aren't able to negotiate a rate yet due to a low volume, check to see if your business credit card has a partnership with any mail carriers in the meantime. You might discover a hidden 5%+ savings there! 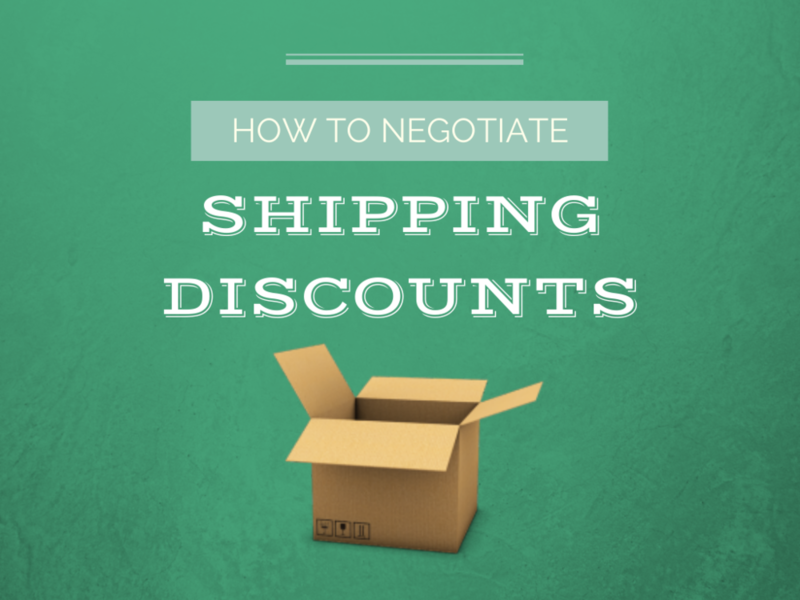 Have you had success negotiating discounted shipping? Let us know in the comments! Online reviews matter. They matter a lot. If you don't know that by now, we're guessing you have spent the last two decades under a rock—nay, a noise-canceling boulder. Your business may already have a solid presence on Yelp, Facebook, Google and other brick-and-mortar local business sites, but if you're selling online, product reviews also matter a great deal. In an article by Inc, Michael Fertik reported "89% of consumers viewed online sources of product and service reviews as trustworthy--and another 80% have changed their minds about a purchase based solely on the negative reviews they read." You'd probably never dream of buying something from Amazon without at least skimming a couple reviews first, yet most small online businesses don't bother with eCommerce product reviews at all. Why does every online retail business need product reviews on their eCommerce website? 1. Quality control. Product reviews empower your customers to let you know what they really think. It can be scary, but it can also help you make smarter inventory decisions. When you see a pattern of negative or lukewarm reviews, it's an opportunity to fix whatever's not working—or stop ordering it altogether and focus your assets on moving those products that everybody's raving about. 2. Genuine customer interaction and trust. Some customers will call, email or return a product when they have a negative experience with it. Others will simply curse the heavens and then move on, perhaps replacing your faulty product with another product from another business—never to be seen on your website again. When customers are prompted to give feedback, however, those relationships become a little more salvageable. You have a chance to make things right and rebuild trust with that customer—as well as earning the trust of potential customers who will be impressed by your outrageously helpful service. 3. Fewer product returns. A product with 50 reviews is 135% less likely to be returned than one with less than five reviews. The nature of peer reviews is that they help inform people about each product in a richer, more detailed way than you could hope to do with an inherently rosy product description or FAQ. When customers know exactly what they are getting into (i.e. "This sundress is so cute, but runs a little small! "), they are more apt to make purchases that will make them happy. 4. Increased online search traffic. More content means more traffic, especially if your product review plugins give customers the ability to add their own photos as well as ratings and reviews. Plus, we're all more prone to click on a link with bright and shiny stars sitting next to it! If you're interested in setting up product review capabilities on your site, we recommend trying out the WP Product Review Plugin, which helps you turn your Wordpress eCommerce site into a rich knowledge base of honest customer feedback and reviews. If you'd like to go further, Author HReview is another Wordpress plugin to increase search traffic by showing star-ratings from the WP Product Review plugin in your search results. Have any other tools you use to make the most of online product reviews? Let us know in the comments!